The Essential team is spending an hour today participating in a reddit AMA. 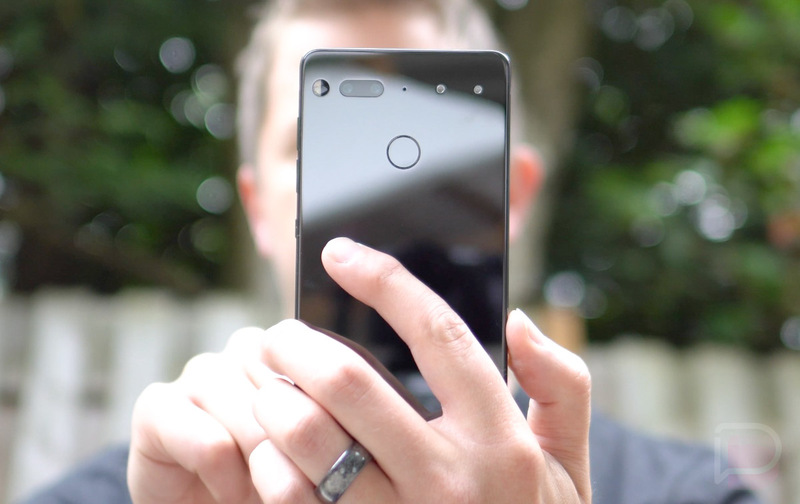 Well, Andy Rubin is hosting one, but he invited a bunch of the Essential team members to join the party and answer any questions the tech community may have about the Essential Phone (our review). To help you quickly find all of the good bits of info from the conversation, we’ve done our best to summarize the highlights below. During the chat, they covered a lot of important topics, including recent Essential Phone camera updates, the white model’s release schedule, when Android Oreo is coming, if they’ll support custom development around the phone, and what kinds of new accessories we’ll see for the PIN connector at the top of the phone. For an AMA, it was pretty action-packed. Hi! We are pretty happy with the hardware design of the camera. We are using computational photography to fuse a monochrome and color sensors. That’s the part we’re not too happy about, but luckily it’s software and we’ve already done a number of updates to the app to fix bug and add features. So that doesn’t give us much other than the fact that they are trying to improve it. I don’t know that any of us who own the phone think the camera is acceptable just yet, but at least they have attempted to make things better. When is Android Oreo coming? According to Rebecca Zavin, the VP of software, the Oreo update for the Essential Phone “will be coming in the next month or two.” She also mentioned that they are considering a beta track for updates and asked people to upvote her comment in the AMA if interested. You can upvote it right here. What about custom development support? We are excited about supporting 3rd party developers. We’ll be releasing our kernel and factory images in the next few days. Well, then, there you go developers. What kinds of snap-on attachments will we see? Essential actually refers to them as Click Connector accessories, but they did reveal their plans for what’s next. We should see the charging dock first, the one that was revealed with the phone back in May. After that, there is a good chance we’ll get a high end 3.5mm accessory to bring you those sweet, sweet, tunes, since the phone doesn’t have a headphone jack. Yeah, our head of architecture is in Asia right now getting our high-end audio accessory super dialed. He graciously called me at 3AM today so we could talk about some specifics for our design… We are working literally around the clock around the globe to get your awesome new things ready. But why no 3.5mm jack? On poor performance of the software, issues with missed touches, etc. We’re happy we were able to address some of your issues! You’ll see performance bug fixes continuing to roll out in our subsequent release. The top performance issue we are pursuing is that UI freeze up that turns out is lock contention in the System UI thread! Now that we’re hot on it’s trail we should have a fix soon. Obviously, she didn’t mention the missed touch issue, but at least they’ve figured out why the phone freezes up on the regular. I’d imagine we’re going to see pretty regular software updates for a while. As Essential Phone owners know, there aren’t really any case options out there, but Essential’s head of industrial design, Linda Jiang, said to expect some from several partners they are currently working with. Andy Rubin offered up this option. While I haven’t experienced any, and Essential seemed confused by suggests of issues in the thread, they did have some 1-on-1 conversations with folks. If you are experiencing signal issues, I’d suggest hitting up this thread and this one. When is Essential Home coming? I’m particularly excited about the home product. It has the potential to unify all the disparate devices in your home, including your phone! Not quite ready to talk details, but development is going well and we’ll have something to show soon. And that’s most of the good stuff. If you to read the full AMA, hit up that link below.